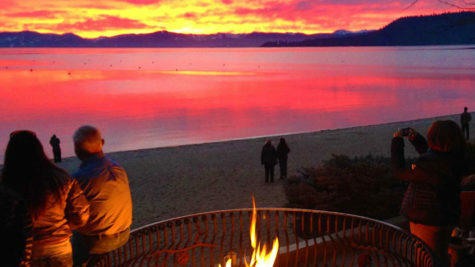 Fall calls for cozy sweaters and relaxing days spent enjoying the cooler weather and vibrant fall colors as the leaves around Reno Tahoe change to shades of red, orange and yellow. In addition to all of the fall must-dos, the season wouldn’t be complete without a stop at at least one of the area restaurants offering views of the changing scenery. Warm up with a cup of coffee and a baked treat, toast with friends over a glass of wine, or satisfy your hunger at one of the fine dining spots… or all of the above! Located along the Truckee River, the view from Beaujolais Bistro is always spectacular, but as the leaves change to hues of red and gold, it’s truly a can’t-miss spot for dinner. 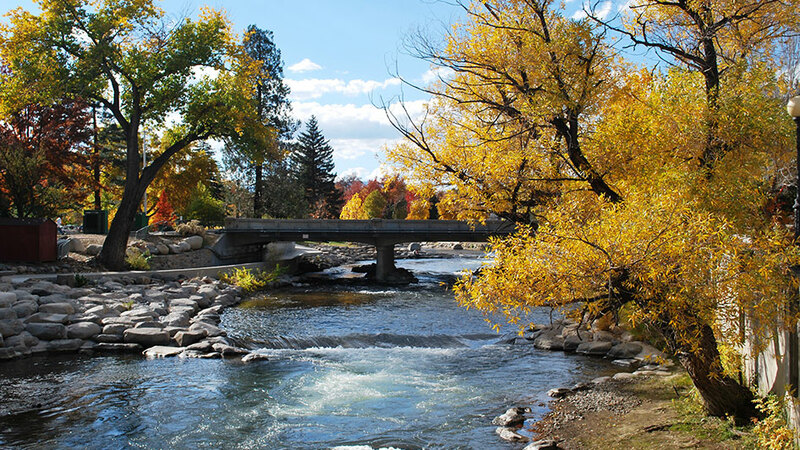 Grab a cup of locally-roasted coffee and take in the vivid fall foliage along the Truckee River. On warm days you can sip your coffee or tea on their patio, or cozy up on cooler days in the tea room, which has windows offering unobstructed views of the river and trees. Each of Whispering Vine’s three locations offers a remarkable selection of wines from around the world, but their location on 4th Street also has views of the city, which in the first few weeks of fall transforms into a kaleidoscope of colors. Located on the Championship Golf Course in Incline Village, The Grille at the Chateau is open every during the golf season (April – October) which means there’s still time to get lunch or enjoy happy hour with views of the world-class golf course, changing leaves and towering pine trees. 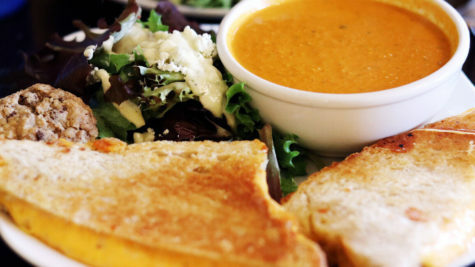 Serving dinner Tuesday through Saturday, 4th Street Bistro is a great spot to enjoy dinner in either their dining room or on their beautiful deck overlooking Reno and the beautiful fall foliage. A menu of contemporary American cuisine and an extensive wine list make this the perfect place for a special night out. 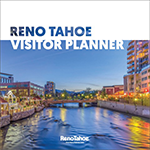 Their location along Reno’s Riverwalk District makes this a favorite spot for locals and visitors alike. 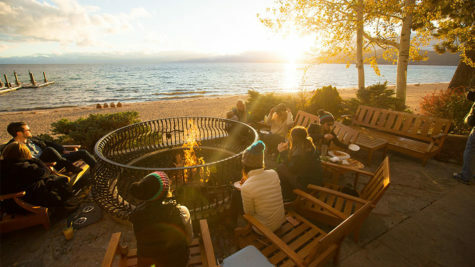 A seat on their patio means you can enjoy the crisp air, sunshine and of course, the changing fall colors. Sip on a seasonal brew or one of their year-round favorites on the patio at Brewer’s Cabinet. The location south of downtown borders neighborhoods filled with trees whose leaves are aglow during October. Located just blocks from downtown, Höma’ge’s menu selection includes coffee and tea, as well as a variety of baked goods such as quiche, pastries and pies. Enjoy breakfast, lunch or a quick snack while taking in the sites and sounds of the neighborhood, which in the fall comes alive with colorful leaves. If you’re looking for even more places to find fall colors in Reno Tahoe, check out our list of the best “leaf peeping” spots in the area.